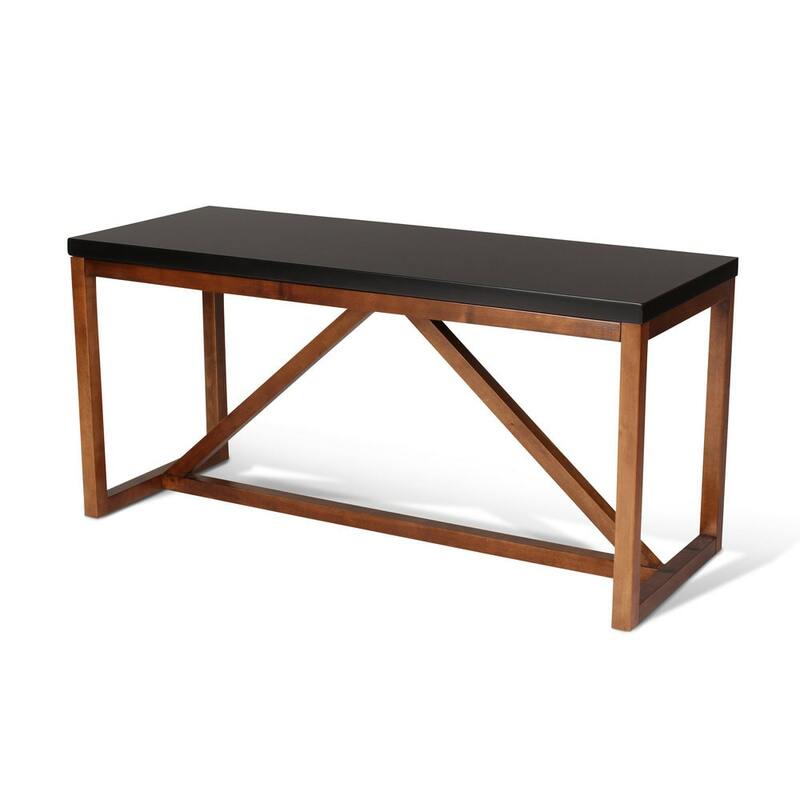 Upgrade your home decor with this classic modern wood bench. This minimalist bench is constructed solidly with a unique triangle shaped base. Use this sophisticated bench as extra seating in an entryway, living room, or at the end of a bed in the bedroom. This bench can be used as a final stop on your way out of the house as a place to sit to put on your boots, store your keys in a tray, and hold your backpacks or purses. This chic bench stands 20 inches high, is 42 inches wide, and is 16 inches deep. It is constructed of solid and manufactured wood to last for many years. Glides are already attached to the feet to protect your floors. This bench ships flat and assembles easily- an easy to follow instruction sheet and all hardware is included. Add minimalist design and sophistication to your modern home or office with this lovely bench.